As promised, I’ve written a post about the deed restriction enforcement regarding a new fence on the 1800 block of Portsmouth. I realize this is a sensitive topic, with strong opinions on both sides of the argument, so I’d like to simply present the information here for those interested. Please also understand this matter is still being pursued, so it may not be appropriate for me to share details without the consent of the homeowner. If you have more questions, feel free to email me directly. As you are probably aware, properties in Richwood Place are deed restricted. It is the responsibility of the Richwood Place Civic Association to enforce deed restrictions on behalf of the residents. 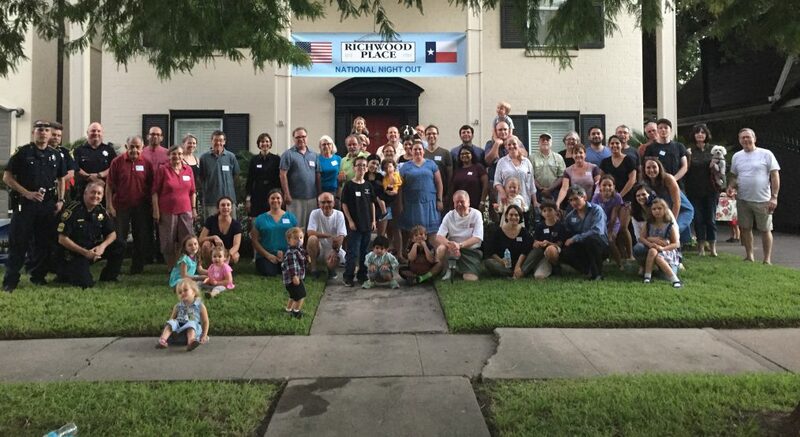 In August 2009, the Richwood Place Civic Association and the City of Houston found that a new fence constructed on the 1800 block of Portsmouth violated the Richwood Place deed restrictions (specifically, Article III, subsection 9 of the Declaration of Restricted Covenants) because it was built less than 20 feet from the front of the property line. A letter was sent to the homeowner noting the violation and requesting the property comply with the deed restrictions. The Civic Assocation received a letter from the resident’s attorney in September 2009. Eventually, a suit will be filed on behalf of the Civic Association to resolve the issue and that’s where it stands. This item is discussed in more detail our regular meetings. Members and residents that would like to join the discussion should attend the next meeting (scheduled for Tuesday, May 11, 2010). Copies of our deed restrictions are given to owners at the time of purchase. I have also included them on the About Richwood Place page of the this website. If you have questions about your property, visit the City of Houston Deed Restriction information website, contact the Office of the City Attorney’s Deed Restriction Enforcement Team’ s Deed Restriction Hotline at 832-393-6333, or contact the City Services Help Line at 311. I’d like to close this post by letting you know my philosophy for posting to this site; I’m only going to pass along information. Rarely, if ever, will I include my own personal bias. The web site and blog are intended to to pass along content I feel will interest you. And again, please feel free to comment here or email me directly with questions or concerns. This entry was posted in Ongoing Issues and tagged deed restrictions, portsmouth, rpca. Bookmark the permalink. ← New H-E-B at Alabama and Dunlavy?